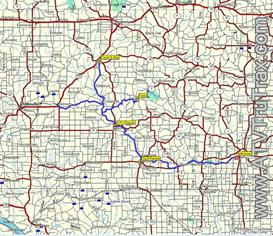 Marinette CO WI ATV GPS Maps $14.95 Huge Trail System this is a "must have" map. 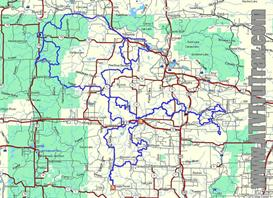 Marinette County Wisconsin has an estimated 230 miles of ATV trails. Most of the Marinette Trail System is open year round, with the exception of early Spring when they are closed to protect the trails from erosion which ATV's can cause during the soft and wet trail conditions during the spring. 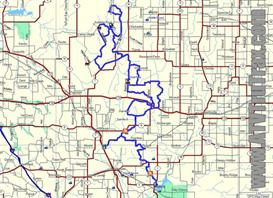 You will also find ATV facilities provided by the County Parks Department. There is an All Terrain Vehicle Campground in Marinette County at McClintock Park. 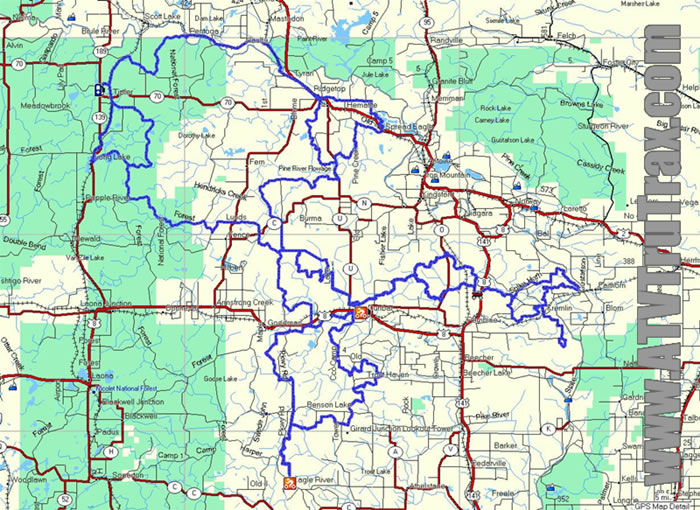 ATVs are not permitted in the day use areas of Marinette County Parks, but a parking lot for ATVs has been constructed across the road from the McClintock day use area for an easy walk in to the scenic bridges, islands and small open cabins on the Peshtigo River. The campground opens for the season May 1st. With the recent seven-mile trail addition near McClintock and 38 miles near Pembine, the Homestead Trail offers breathtaking vistas, sharp curves, steep hills and over 200 miles of ATV excitement. 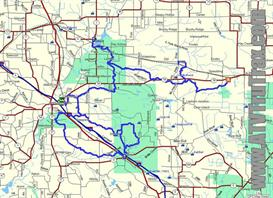 ATV Riders camping at the park can access hundreds of miles of ATV trails in Marinette and Florence counties. ATV TruTrax GPS Maps are made available to you for immediate download in popular .gdb file format for Garmin GPS units and .gpx format for the universal GPS eXchange Format which can be used with any GPS unit. All of TruTrax GPS Trail Maps are generated during real rides, on real trails so that when you load up your GPS map, you can count on it being accurate. Don't settle for less than genuine ATV TruTrax GPS Maps!